One of the least things I am proud of this year is that I am still smoking. This is especially irritating considering that only a short time ago, I quit for two years. When I quit smoking the last time I stopped completely. Right away, cold turkey. Although this was very, very hard, I managed it. This time though I think I am going to need some assistance. My life now is very different to when I quit before and I cannot rely on will power alone. According to a major report that was done by the Royal College of Physicians, E-cigarettes can be beneficial to those and should who smoke should be encouraged to use them in lieu of regular cigarettes. The report, all 200 pages of it, has sifted through all of the various devices and made an effort to clarify the conflicting advice on their usage. The conclusion is that in spite of the myriad of concerns regarding e-cigarettes, they don't work as a "gateway" to smoking for those who aren't smokers and those who are using them had already had a long established habit of being a smoker. It goes on to further suggest that those who smoke may fail if they don't wean themselves off of tobacco products by trying something like an e-cigarette. It may help them in the long run, to successfully cease smoking. 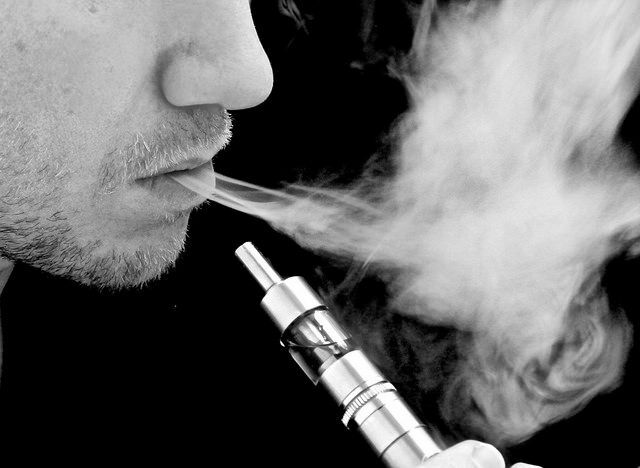 In this fashion, the e-cigarettes work as a gateway to help them quit. According to the report, the conclusion is that an electroniccigarette are quite likely to be more beneficial in helping the public stay healthy and helping a smoker to stop smoking. They are by and far much safer than regular cigarettes. According to John Britton, Professor of Royal College Of Physicians Tobacco Advisory "Group, the growing trend of e-cigarettes works well as a substitute for tobacco smoking and has long been a controversial topic with a lot of speculation regarding the risks and the benefits of e-cigarettes. The report goes on to lay to rest nearly all of the concerns over e-cigarettes in comparison to regular cigarettes. It is believed that e-cigarettes have a great potential to give a major contribution toward preventing premature death and disease due to smoking. Smokers should understand that the use of an e-cigarette in lieu of regular tobacco products may go far in helping them to stop smoking forever. According to Jane Dacre, Professor, The report builds on the current and existing work and has concluded that the risks involved are far less for e-cigarettes than for regular tobacco cigarettes. This could, in turn, hasten the potential for a tobacco free society. By using careful management and proportions, those who do smoke can greatly reduce the amount they smoke when they select e-cigarettes over regular cigarettes. It's estimated that 2.1 Britons currently choose e-cigarettes over regular cigarettes. This figure is on the rise and since 2007 when the e-cigarette was introduced they have been successfully marketed as a method to help smokers wean themselves off of their nicotine addictions. The e-cigarette delivers a lower dose of nicotine and helps to reduce the cravings of a cigarette. By moving to lesser amounts of nicotine the person is weaning themselves off of harmful cigarettes. Thus, cigarette use is in a slow decline for the UK. At present 18.7 percent of all UK adults are smokers and the rates are continuing to drop. Though E- Cig is a helpful way to get rid of from smoking. It is a healthy alternatives. Orb Vapor LLC is the manufacturer of natural e-liquid for the use of electronic cigarettes. They provide the custom mixed organic E-Cig & vapor juice in different flavors.